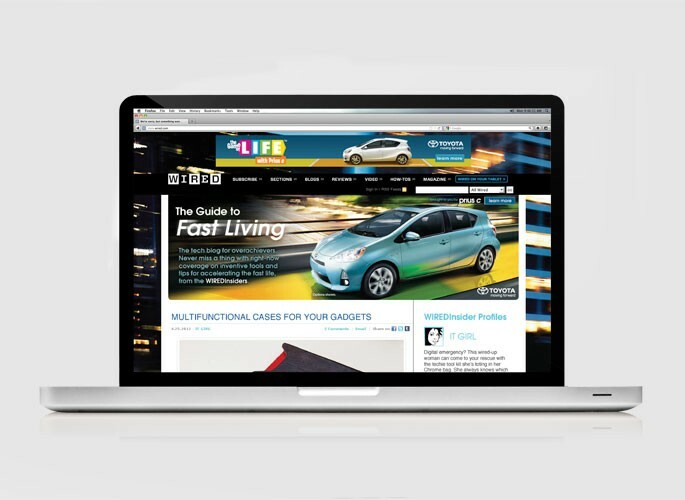 The Guide to Fast Living was a custom content series and blog that spoke directly to life’s overachievers with tools and tips designed to marry tech and productivity. Digital: Written from the perspective of three WIRED Insiders—the IT Girl, the Culturazzi, and the Maker—the Guide to Fast Living blog delivered tips and tricks on using tech in the most innovative and efficient ways. 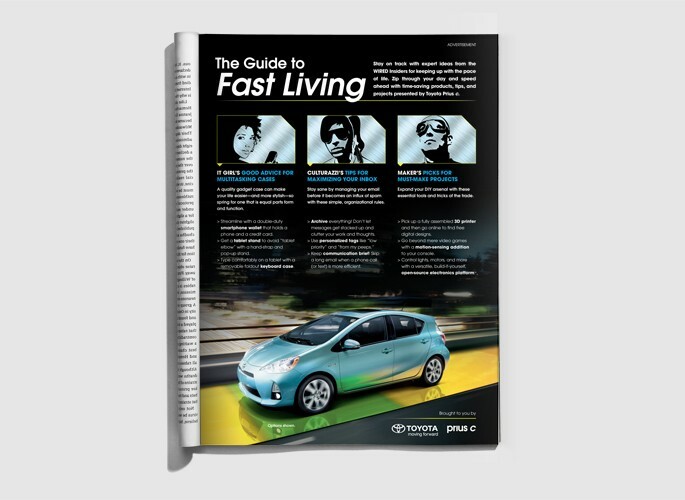 A custom filmstrip unit promoting the Guide to Fast Living ran across WIRED.com driving traffic to the blog destination. Print: A custom single-leaf-insert recapped key content from each Insider for the print community, while driving readers online. Tablet: Using a custom hot spot execution, users were able to explore tips from the Insiders in a dynamic way. Social: WIRED utilized the WIRED Insiders to promote the program with custom tweets and Facebook posts.